How is Peptic Ulcer Caused? These are sores that develop in the lining of the stomach, lower esophagus, or small intestine. They are caused by the bacteria H. pylori as well as from erosion from stomach acids. It can be because of too much smoking and drinking. It can also be because of certain pain relievers such as aspirin and NSAIDs such as Ibuprofen and naproxen. 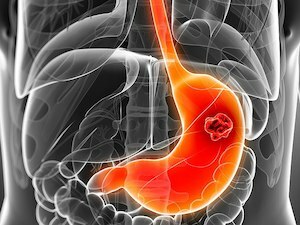 Gastric Ulcers: They develop inside the stomach. Esophageal Ulcers: They develop inside the esophagus. Duodenal Ulcers: They develop in the duodenum which is the upper section of the small intestine. If you are diagnosed with H. pyroli infection than the doctor will prescribe Antibiotics to kill the infections and proton pump inhibitors to help reduce stomach acid. If you do not have H. pyroli infection then they may recommend a prescription or over the counter PPI to reduce stomach acid and help your ulcer heal.